Why Does My AC Circuit Breaker Keep Tripping? Dealing with "Dirty Sock Syndrome"
Each month we provide a roundup of some of the latest new from HVAC for both the consumer and the professional. It's a roundup of what we at HVAC Training 101 have published as well as information from around the web. So let's have a look at what February brought us! Kevin Stickney of Erda Energy talks about "Geoexhange", a new HVAC technology that could be a great way of using renewable energy to heat and cool our buildings. Could winter's cold really be used to make us more comfortable in the dog days of summer? Read the interview! In these first days of March, parts of our country are experiencing blizzard conditions. But it's getting close to the time when many of us are thinking about breaking out the camping gear. If you like to hit the campsites early in the year, you might feel the need to still have a tent heater. Check out our reviews of some of the best available! ACHR News reports on this year's AHR Expo. It had more attendees than the Super Bowl! It's always a great event, and if you missed out, you can catch up on some of what you missed with this article. We usually make purchases as we need them - even major purchases. So we think about buying a new air conditioning system or even a window unit when it starts to get hot. And so does everyone else. But that means there's more demand, which usually makes prices higher. So when should you look to buy your new AC? Who's going to have control of the regulation of refrigerants? RefrigerantHQ reports on recent federal legislation introduced that would put more control in the EPA's hands. This is a follow-up to last year's court decision saying the agency had overstepped its bounds. The temptation when a circuit breaker trips is to just flip it back on. But if it's a problem that keeps repeating, there could be serious issues with your equipment. Check this handy guide to troubleshooting the issue - and knowing when to cal the electrician! EdTech looks at how the Internet of Things can help diagnosis issues before they become noticeable. Modern technology can help detect failing components and allow for repairs to be made proactively. That can help save money and the environment! If you're in the industry, you surely strive to keep up to date with the latest developments and news. There's a lot of great online resources, but the feel of a trade journal in your hands can't be replaced. We've compiled a list of some of the material you should be reading and why. This article reminds us that our military also includes specialists in HVAC! 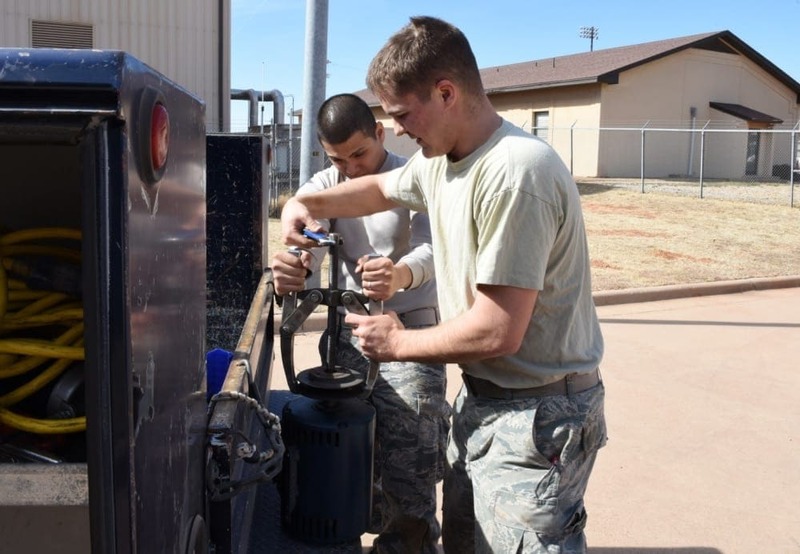 Read about the team of military and civilians responsible for helping the airmen at Dyess AFB in Texas stay comfortable. As part of our ongoing series on air conditioners brands, we take a look at Carrier. It's the original AC system and has a high level of recognition throughout the world. Is it worth the price? Check out our reviews and opinions in this article. 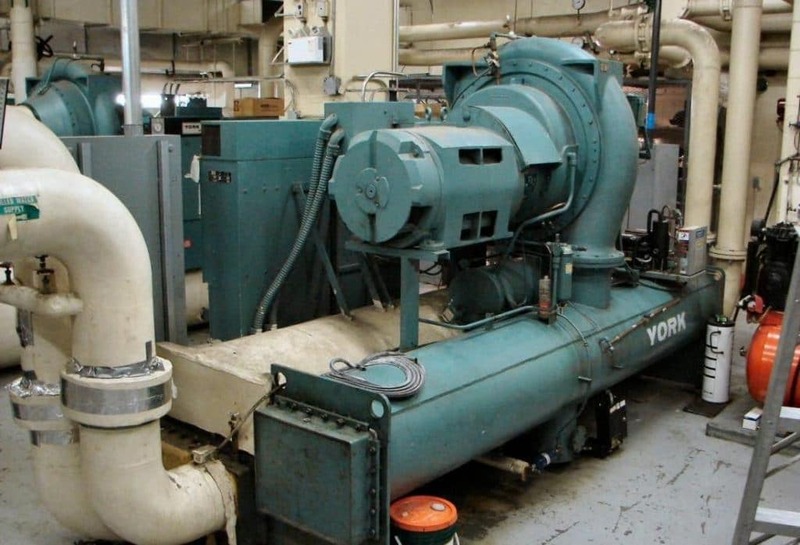 Con Ed commercial and industrial customers can take advantage of some useful rebates when they upgrade their HVAC/R equipment. Help keep your clients informed of what may be available to them. You crank up the AC for the first time this year - and ewwwwww!!! What's that smell?? There can be various bad odors that come from your AC unit. Each can indicate a different problem, some more serious than others. This guide will help you understand what causes some common AC odors. Speaking of bad odors - dirty, sweaty gym socks has got to be among the worst. Think your teen tossed one in the AC system? That odor could have the same root cause, but have nothing to do with a sock. Learn what causes this AC system problem and how to deal with it. This short list of warning signs can help save you money and keep you comfortable. Learn what to look for then come back to this site for information on troubleshooting! Always feel a chill in the office? Shivering while paying your bills? A portable heater designed for your desk air could be the perfect solutions. Learn what to look for in power and safety, and check out reviews of some of the best models! An HVAC maintenance contract can help you save money as well as remind you to properly maintain your system. Learn what to look for in a contract. And it's a great guide for contractors in developing their contracts as well. Water overflowing the drain pan of your AC unit? Even if you notice that it seems to be filling more than normal, it's a good sign that your drain line might be clogged. A little DIY can usually fix the issue. Check the guide here! Rob Falke looks at how airside diagnostics can save time and make overall system diagnostics simpler and more accurate. He's got some great suggestions for how to conduct diagnostics in a better way. HVAC/R can be a great career. Check out this great infographic that highlights some of the reasons you may want to consider learning this trade! Supply House Times looks at what's developing in the industry, and looks at the crucial question of pay relative to the the increasing technological knowledge that is demanded of HVAC technicians.